The Suunto SK-8, is the latest edition of Suunto’s leading dive compass, delivers even better underwater performance with faster stabilization and enhanced readability. 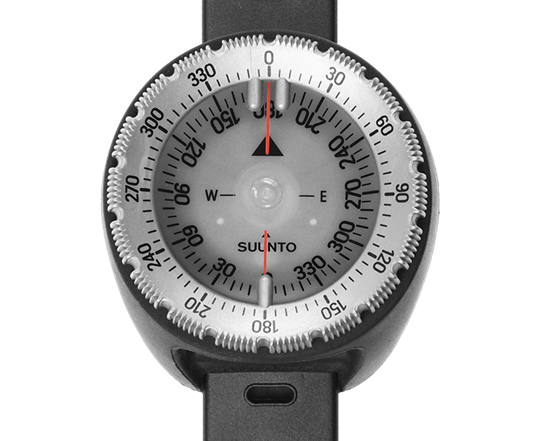 The Suunto SK-8, is the latest edition of Suunto’s leading dive compass, delivers even better underwater performance with faster stabilization and enhanced readability even in poor visibility. Both northern and southern hemisphere models can be used over a wider area of the globe thanks to an upgraded magnet. 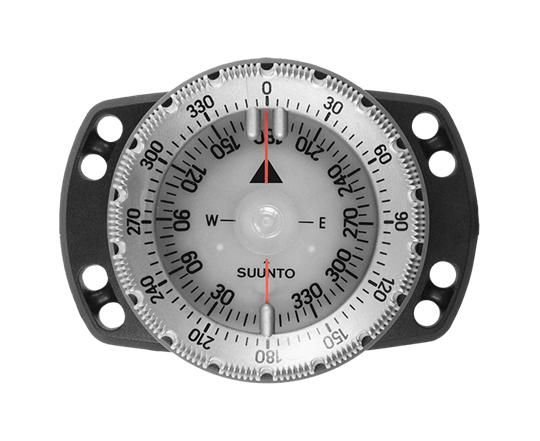 The Suunto SK-8 is a reliable, super durable compass that is a favourite among our diving instructors for being user friendly and sturdier than its competitors. Available in either bungee or traditional strap mount. The bungee mount is one of our most popular versions of the SK-8 as it is an easy to don, but secure option for drysuit divers, especially those with dry gloves. Comes with bungee. The wrist strap is broad, durable and relatively easy to use. Long enough to fit around most drysuited arms and adjustable enough to work with you in warmer waters with a wetsuit or bare wrist. Wearing your compass on your wrist makes it accessible and hands free. It is easy to position directly in front of you and to get it horizontal.